I didn’t really fancy a museum. It was a nice Saturday morning in Pedregalejo, I’d had a couple of coffees with Jose and then moved on to the intercambio meetup in the bar next door. Nice to catch up with old friends there and meet new ones, helping everyone practise Spanish and English. Then someone suggested a museum. Not the best idea, I thought, but I wandered along with the group to the western end of Pedregalejo until we found ourselves outside a boatyard. And then it all suddenly, and surprisingly, got really interesting. Alejandro is one of those people who could read the phone book and make it gripping. 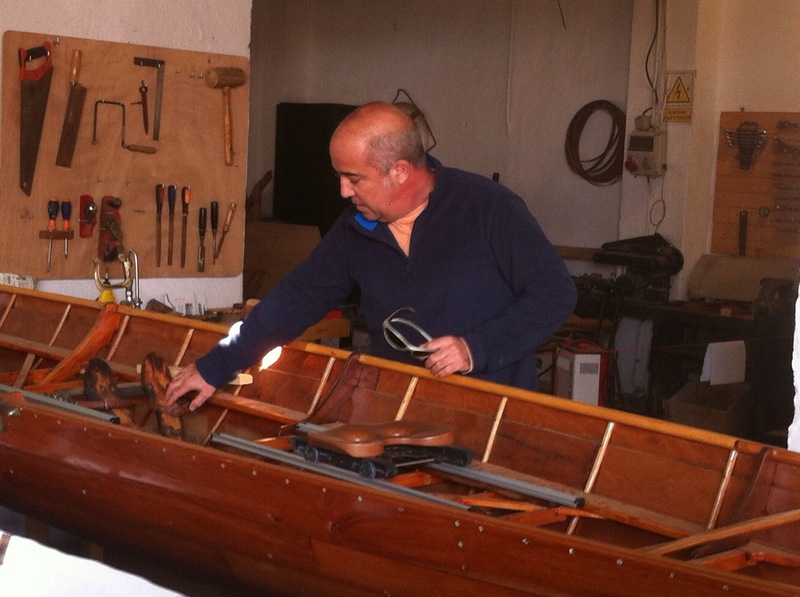 His passion for artisan boat-building is infectious, and his intimate connection to the boatyard where the Sanchez Guitard family had fished, and repaired and built the fishing boats of Pedregalejo, brought this little stretch of Málaga’s coastline alive. In 1781 the Governor of Louisiana, Bernado de Galvéz (a Malagueño) sailed into Penascola (the British, and formerly Spanish, capital of Florida) to support the rebels and rout the English, for which he received many honours, including having the island of Gálveztown named after him. Two hundred years later the Spanish / North American links were strengthened with the birth of this project in 1999, to replicate his bergantín (brig) Gálveztown using the same materials and the same methods. Students from the University of Connecticut come on apprenticeship placements to learn the traditional boat-building skills. 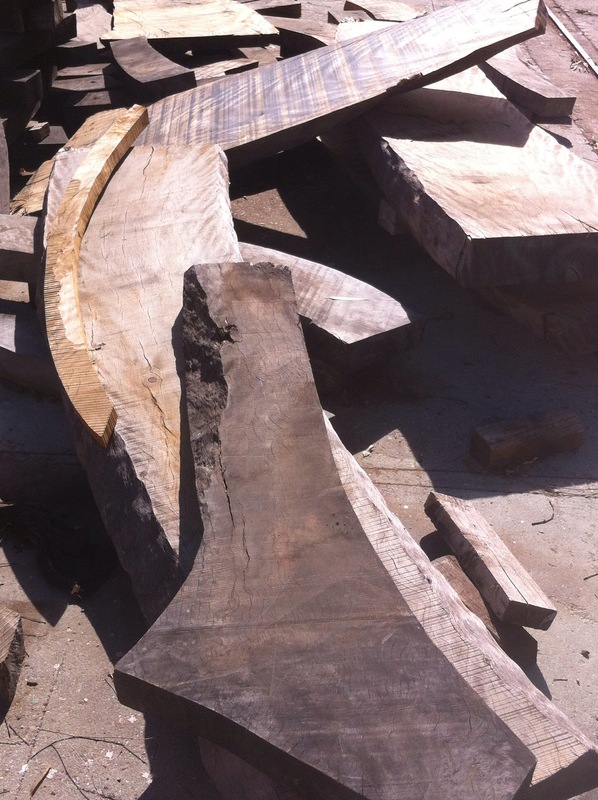 Finding the wood was a problem, as the right kind of oak does not grow in southern Spain. At the start of the project massive trunks were delivered from the USA, but few at a time. However the disaster of Hurricane Ike in 2008 which ripped up 40,000 enormous trees around Florida and Louisiana, included the area around Galveston, so those connected with this international project were able to rescue something from the tragedy and donate 200 tons of the wood which then travelled from Houston to Málaga for more students and apprentices to cut, shape, and construct in this tiny but significant boatyard in Pedregalejo. Alejandro outlined the history to us in rapid Spanish. Although he had been told we were of a range of nationalities, some with limited Spanish, once into his subject his passion took over and he sped up. 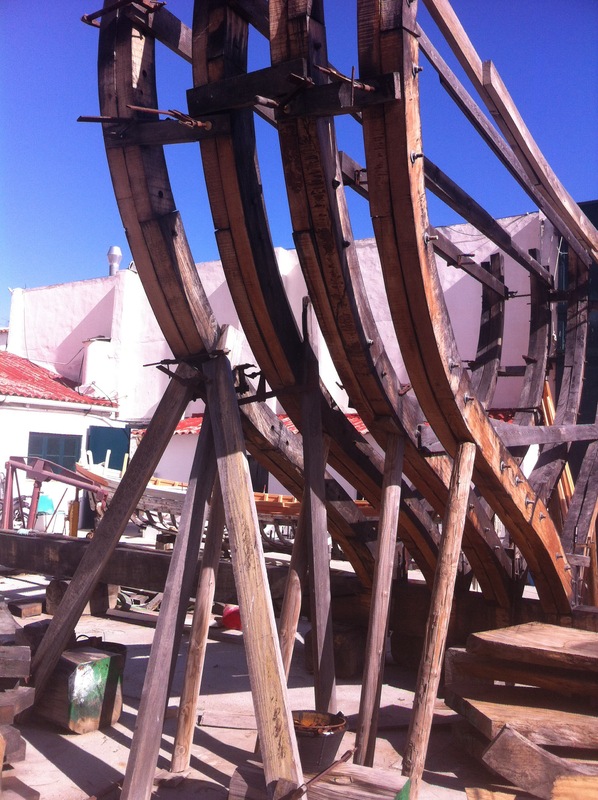 But the basis of the history was clear enough, and as he led us around the workshop showing us an almost-completed ocean racing boat, and a jábega (Malagueñan fishing smack), between us we picked up most of what he was telling us. The yard also functions as a site for local fishermen to get their repairs done, plus there are corners available to local people building their own boats, who can benefit from the onsite expertise. But the dominant project remains the massive rib structure, which will one day become a completed replica of the Gálveztown, and the American students in that far-off final year will have the honour of being there to launch her, and perhaps sail her across to Florida. Fifteen years from the start and the partial frame stands huge and proud in the yard. As to a completion date, Alejandro shook his head, smiling, unwilling to guess. Gaudi never saw his epic Barcelona project La Sagrada Familia completed. 133 years later it is still not finished, though the signs are that I may just see it complete within my lifetime. I’d love to see the Gálveztown finished too, but I’m unconvinced. 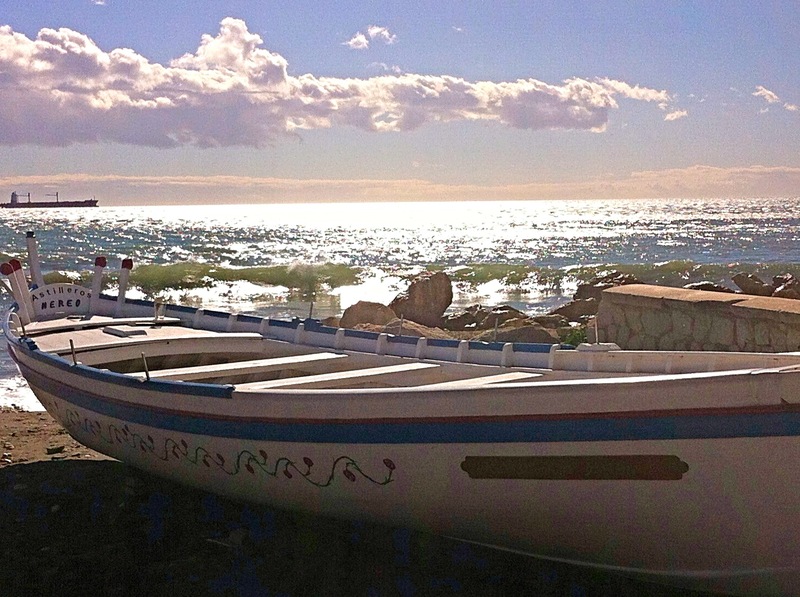 Meanwhile in Pedregalejo, the local volunteers, topped up twice a year by groups of American students, bandage their blisters and work on, building a boat, building a dream. Back to basics again! I have noticed that the thing I get corrected on more than any other is estaba and estuve. So I went for a top-up session with JuanMi at Axalingua Escuela de Idiomas here in Colmenar. He offered two bits of reassurance. Firstly, he told me that my friends were correcting that more than anything else because I’m probably using them more than many other words, and they are central to a sentence so my friends notice them more. Secondly, he told me that it is genuinely difficult to get right every time! And that sometimes Spanish people argue about which is right in a given sentence! Phew. The best tip I can offer is that estaba, being the imperfect tense, is used when the story itself is imperfect, or unfinished. Spanish ears will wait for something more if you use estaba. “Estaba en Madrid.” is not enough. It is an imperfect statement. Spanish ears will be waiting for “Estaba en Madrid cuando ocurrió el acidente.” The other tip is that estaba will never be the most important part of the sentence. You being in Madrid or wherever is not the main subject. 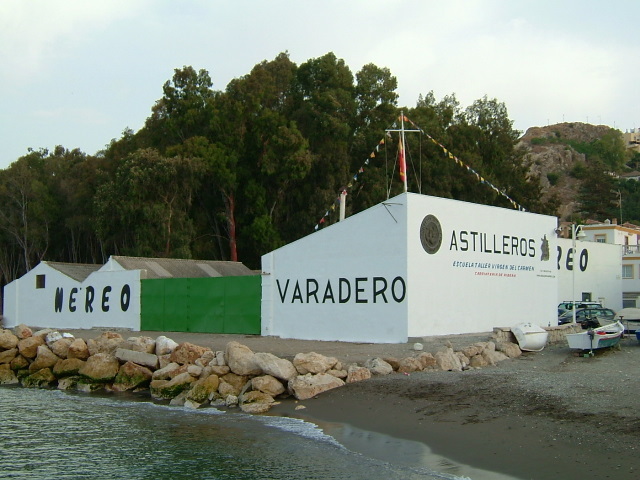 This entry was posted in Spain and tagged Andalucia, Astilleros Nereo, boat-building, Galvezton, Málaga, Pedregalejo, Spain by tamaraessex. Bookmark the permalink.